Casino Rubin — a true ruby out of the debut year of the reserve main prize winner of 2016 Casino Grande. Casino Rubin was licensed at the Oldenburg Stallion Days 2018. He is naturally graced with extremely fast reflexes at the jump and a perfect manner. He carries himself like a modern dressage horse in all three basic gaits and demonstrates impressive form while free jumping. Casino Rubin captivates riders and judges with his charisma as well as his elegent and correct conformation — Casino Rubin, the image of a modern jumper. Sire Casino Grande was a premium stallion and runner-up young stallion champion of his licensing in 2014. In 2015, he finished his 30-days-test with a final jumping score of 9.25, with 10.0 for his jumping ability as well as his canter, and 9.25 for his rideability. In 2016, he competed in youngster classes for the first time. His outstanding quality was rewarded with multiple victories. Additionally, he received the 1b Main Premium for his outstanding first crop and his great show performance. Casino Grande finished his stallion test as a runner-up, right behind his barn-mate, Ogano in 2017. His final score was 9.03, he received a 9.5 for his canter and a 9.0 for his scope and rideability. Additionally, that year he qualified twice for the "Bundeschampionate". In 2018, Casino Grande placed in jumping classes up to 1,35m. He qualified for the "Bundeschampionate" for the six-year-old jumpers. Casino Grande convinced in both qualifications at the Bundeschampionat an qualified for the big final, in which he was placed. He also qualified for the FEI World Breeding championships for young horses. With this background, and in addition to his superior jumping ability, great manners and very modern gaits, he embodies the next level of breeding stallion. Mother Blizardine was successful under her sport name Quinzera up to 1.30m when she was a young horse before she became a broodmare. 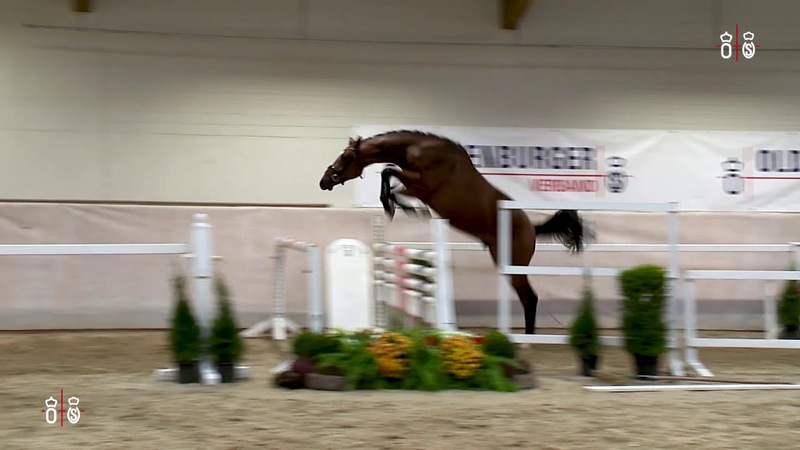 Dam sire Quidam's Rubin received the maximum score of 10.0 at his 30-days-test for his jumping manner and won the 70-days-test in Neustadt (Dosse). He won numerous tests for young show jumpers. In 2003, he received the Main Premium Award for jumping stallions from the Oldenburg Verband. He can refer to 30 licensed sons. These include for example Quaid I and II, Quidamo, Quinnus I, II and III, Quidam Blue, Quidam Cento, Quintessence, Quite Ruby. His son Quaid I was Bundeschampion of five-year old horses in 2009. More than 200 offspring have already been successful at S-level. Granddam El. St. Blizarda also produced Quamina by Quidams's Rubin who is internationally successful up to 1,50m with Mario Stevens as well as Antonio Vivaldi by Abke who was successful up to M**- level. The third dam Blizzardin was successful under the name Zsa Zsa in jumping competitions up to 1,30m. She produced the 1. 50m successful Campino from Chambertin. The dam line of Blankensee has produced a lot of internationally successful show jumper on S-level such as Banda de Hus by Argentinus (Greory Wathelet), Corlanda by Corlando (Helena Stromanns), Jackie Brown by Lord Pezi (Meredith Michaels-Beerbaum), Diagonal by Diarado (Wilhelm Winkeler), Carlos by Carolus (Karl Cook), Cool Down by Catoki (Ludger Beerbaum) and Zandor by Zeus (Kurt Gravemeier). Also, the runner-rup Main Premium Award Winner and 1,40m-successful Cola Zero by Cola goes back to the damline of Casino Rubin. Casino Rubin at the stallion show on 09/02/2019.